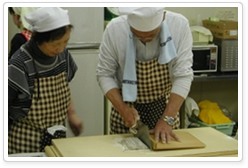 Using “fresh materials” in Atsuma, you can experience a variety of processing under the guidance of the instructor. For example, how about processing freshly-harvested Haskap and Kokuwa to “jam” on the same day and trying to have bread with the jam in next morning? Many programs are available year-round. Please enjoy your own "making menu. Kokuwa is a kind of kiwi and the taste is also similar. You can enjoy as it is and even if for the jam or fruit wine. 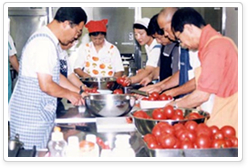 Under the guidance of the instructor, let’s challenge to make Kokuwa jam. 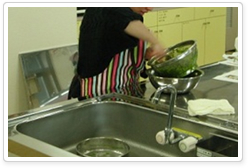 It is said that Haskap is included plenty of vitamin C and anthocyanins and is also effective in health and beauty. Atsuma has the most cultivated area in Japan. 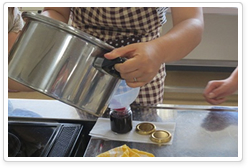 Under the guidance of the instructor, let’s challenge to make Haskap jam. Experiencing to make Tofu with locally grown soybean under the guidance of the instructor. 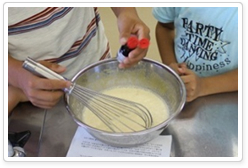 Experiencing to make icecream with materials from Hokkaido under the guidance of the instructor. Experiencing to make juice with locally grown tomatoes under the guidance of the instructor. Experiencing to make Soba noodles with locally grown buckwheat under the guidance of the instructor. 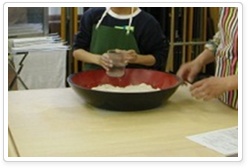 Experiencing to make Udon noodles with locally grown flour under the guidance of the instructor. 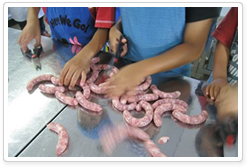 pig-farming under the guidance of the instructor. Experiencing to make rice cake using Mochitsuki mortar and pestle that is no longer quite apparent. 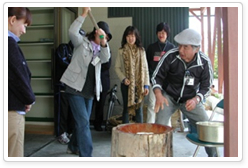 You will taste Tsukitate Mochi (fresh pounded rice cake) on the spot. 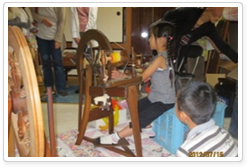 You can experience various treating such as dyed, spun, woven, and machining felt with wool from sheep farm in Atsuma. Copyright © 2013 厚真観光協会 All Rights Reserved.